($17 Retail). 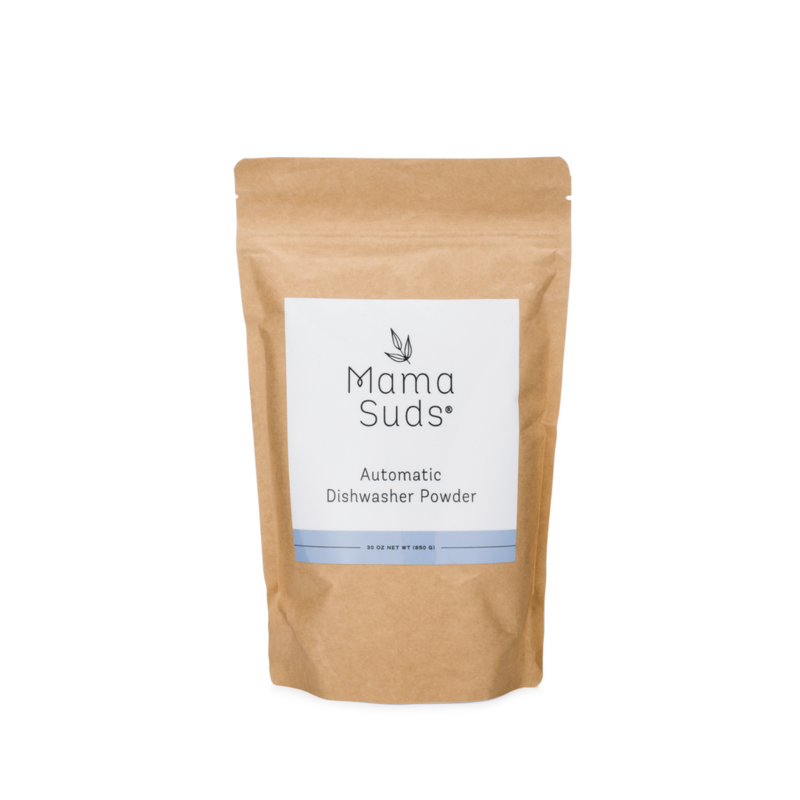 EWG's Guide to Healthy Cleaning gave MamaSuds Automatic Dishwasher Powder an A rating! 30 ounces net weight Ingredients: non-GMO citric acid*, sodium bicarbonate, sodium percarbonate, sodium carbonate. 60-90 loads per bag Comes with a recyclable/reusable scoop SLS-free, Dye-free Biodegradable and safe for septic systems Free of any synthetic ingredients use: rinse dishes thoroughly (leave off the food) and put 1/2 to 2 scoops into the dishwasher soap dispenser depending on load. For best results use distilled white vinegar in the rinse aid dispenser.